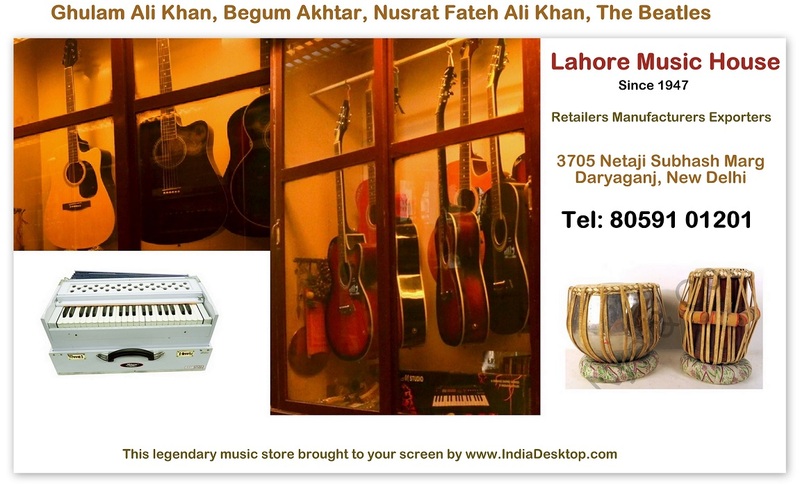 Lahore Music House (Daryagung, Delhi) Music store that saw Ghulam Ali Khan, Begum Akhtar, Nusrat Fateh Ali Khan and The Beatles walk through its doors. The shop was established in Delhi in 1947, but with its Anarkali market roots, it has a history of 110 years. Lahore Music House has been in Daryangung since its founder Harcharan Singh Sachdeva moved the shop from Anarkali Market in Lahore during Partition. Lahore Music House manufactures, retails and exports musical instruments to more than 12 countries (Mauritius, Fiji, Australia, New Zealand, London (UK), Vancouver and Toronto (Canada). Lahori qawwals still swear by trademark Lahore Flute harmoniums. They have two manufacturing units, one in Chandigarh, and the other in the outskirts of Delhi.